For the start of the 2018 school year, Graphéine supported the Anacours group, a specialist in tutoring since 1999, in the redesign of its brand identity. This evolution strengthens the visibility and readability of the Anacours franchise to enable it to stand out in the highly competitive world of tutoring. 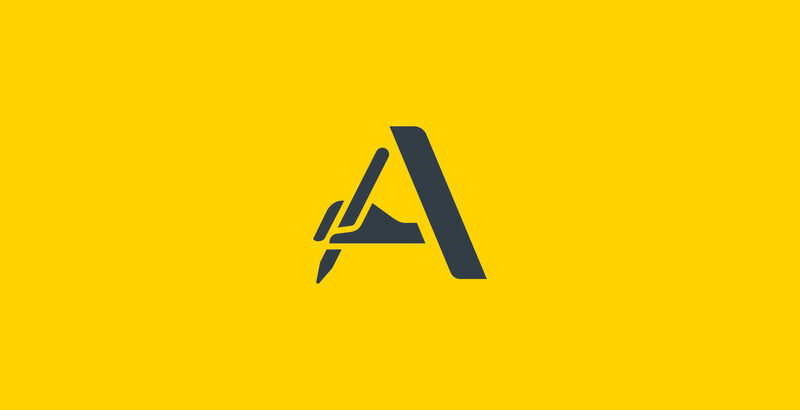 Anacours' previous visual identity lacked coherence and made several variants of the same logo coexist. Graphéine supported them in the redesign of their emblem and the creation of a new graphic guidelines. All their communication media have been completely redesigned. The new emblem "A scribe" uses the first letter of the brand name mixed with the symbol of handwriting. This choice makes it possible to enhance the brand's history and creates a stronger and more identifiable Anacours icon. Until then, its design had been too complex and difficult to read. We have chosen simplicity and modernity to set up a graphic design more adapted to digital. This new logo highlights the values adopted by the brand since its launch: trust, proximity and quality. The wordmark has also been redesigned to give more stability and horizontality to the logo. The visual identity is available in vertical and horizontal versions. This flexibility allows the visual identity to be adapted to both printed and digital media. The signature "À deux on apprend mieux" (Two people learn better) completes the brand storytelling with tailor-made tutoring that emphasizes the student/teacher relationship. The typographical composition of the slogan incorporates the new emblem. This visual trick enhances brand consistency and will increase the awareness of the logo. A new iconography principle illustrates the idea of a "winning tandem" and focuses on the exchange between student and teacher as the key to success. The emblematic yellow of the brand has been retained in order to maintain consistency across all franchises in the territory. We have enriched the Anacours color palette with a cyan blue that asserts a more "pop" and visually less institutional identity.